I just get the feeling that you are relying too heavily on luck. Yes Branchwalker and Jadelight could hit non-lands and get early boosts, but the explore can also miss-fire (I have always had bad luck with exploring). As soon as Incubation Druid has a +1/+1 counter on it, it can tap for 3 mana each turn. With Biomancer's Familiar out, if you can't immediately use that mana, use it on Incubation Druid to get three more +1/+1's and it can quickly develop into a powerful attacking creature. Yes, if you have mana-ramp, you need mana-sinks (the mana is useless if you don't use it). 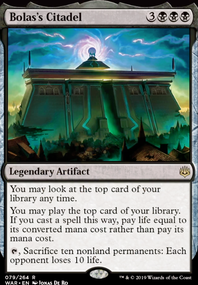 The adapt mechanic just seems to me to provide better value-for-mana than a card like Hydroid Krasis , but if that card works for you - go for it. 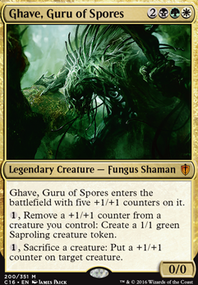 I do see some synergy between Biomancer's Familiar and Biogenic Ooze as it can also reduce the cost of generating Ooze tokens. 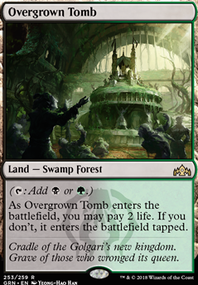 In Into Ooze, I had a quick look at moving from Bant to Simic while keeping the same general game-plan. 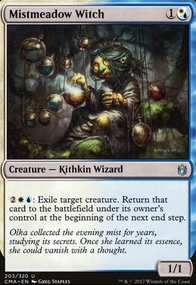 Two colors is always easier to play than three and by moving to Simic it becomes easier to make space for added card draw and/or card search, which could speed up your play. 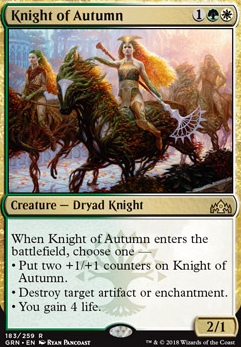 The disadvantage is that you lose cards like Knight of Autumn , which provides a substantial early-ish threat. 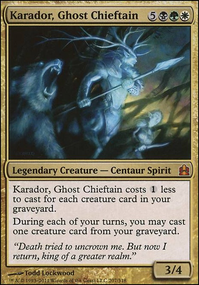 On further consideration, the Bant deck is probably stronger. There are, however, many ways to skin a cat and I wish you luck with your choices.